Drain the automatic transaxle fluid. 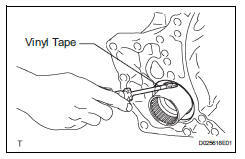 Install a new gasket and drain plug. 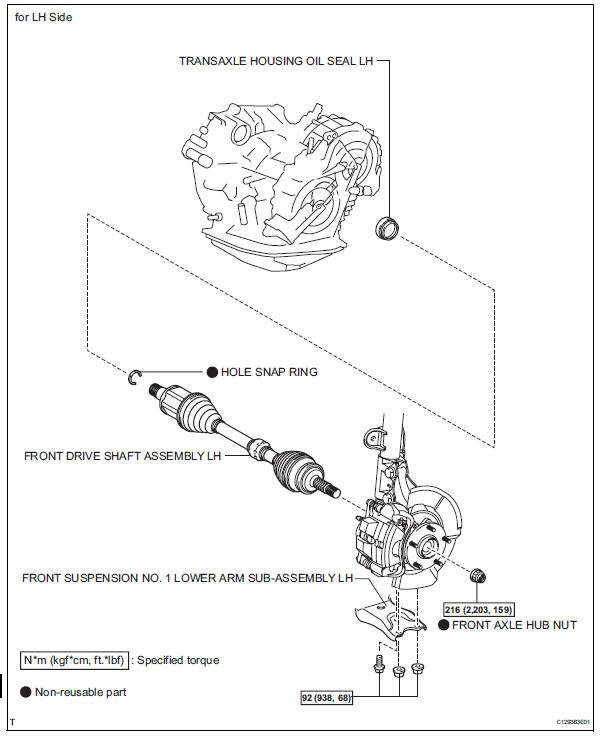 Remove the front drive shaft lh (see page ds-41). Remove the transaxle housing oil seal lh. 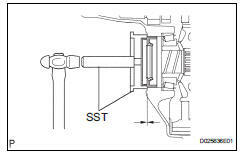 Using sst, tap out the oil seal. Install a new transaxle housing oil seal lh. Coat the lip of a new oil seal with mp grease. 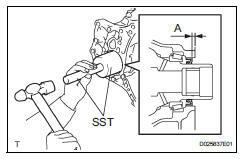 Using sst and a hammer, tap in the oil seal. 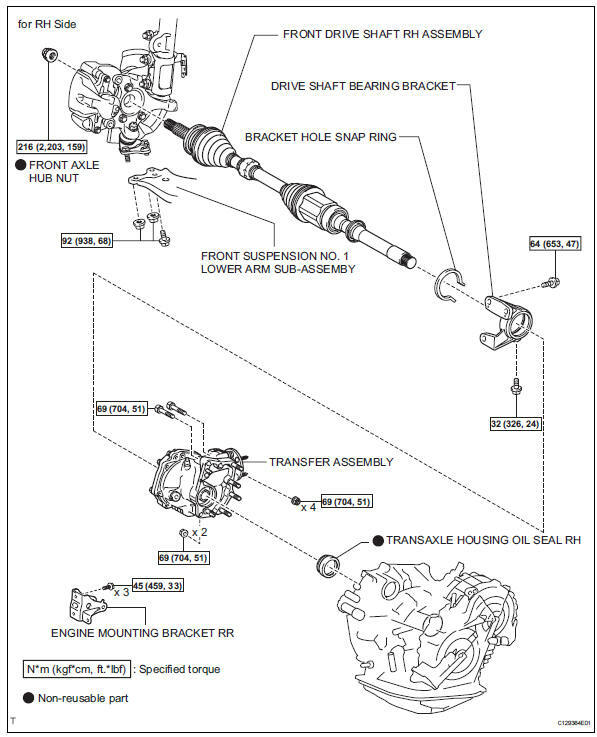 Install the front drive shaft lh (see page ds-65). 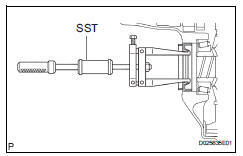 Inspect the transaxle fluid level (see page ax-102). Remove the 3 bolts and drive shaft bearing bracket. Remove the 3 bolts and engine mount bracket rr. Remove the transfer assembly (see page tf-59). Remove the transaxle housing oil seal rh. Using a screwdriver with vinyl tape wound around its tip, remove the oil seal. Be careful not to damage the housing. Install a new transaxle housing oil seal rh. Install the transfer assembly (see page tf-75). Install the engine mount bracket rr with the 3 bolts. Install the drive shaft bearing bracket with the 3 bolts. Install the engine with transaxle (see page em-105).